Pokemon Go: Chen San-yuan is the most popular Pokemon hunter as he has so far caught 45 million creatures since he began playing "Pokemon Go" in 2016. 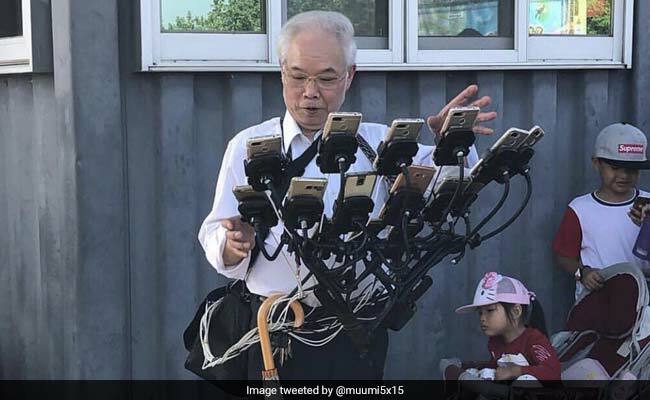 A 70-year-old man in Taipei rides long distances daily with 24 smartphones on his bicycle to chase his passion: hunting Pokemons. This game of augmented reality requires players to seek and capture characters -- from the Pokemon saga, which are hidden at real places -- and fight with them, which require wide movements and gathering of many players. Chen is Taoist Master of divination and Feng Shui -- an ancient system that establishes rules about architecture and the arrangement of objects to ensure good fortune. The Taiwanese grandfather, fondly called "Uncle Pokemon", was introduced to the game by his grandson. Soon he became so famous that it is hard for someone on the island not to recognise him. His entry into the Pokemon world was relatively late, at 66.